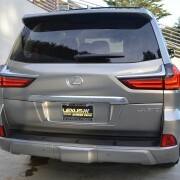 The incredibly detailed window sticker for this newest 2018 version of the Lexus LX570 details no less than 37 selling points designed to entice you into purchasing this ultra-posh, all-terrain marvel. 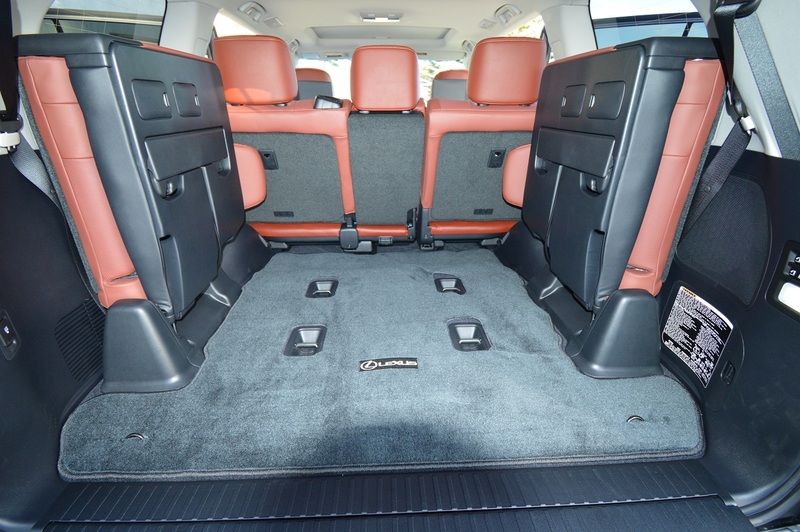 But one item that isn’t listed among the “Standard Features” is the delightful surprise I stumbled on by accident while exploring hidden compartments of this ingeniously constructed SUV. 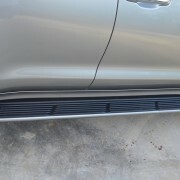 That would be the lovely toolkit located inside the lower tailgate panel. 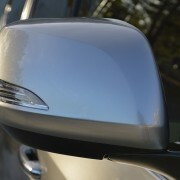 You’ll only notice it if you flop the bottom tailgate flat, then open the oblong compartment door at the panel’s back edge. Inside, you’ll discover a neatly contoured plastic suitcase containing virtually every tool you might need in an emergency. Years ago, most luxury vehicle makers provided tools that offered you a sporting chance to rectify minor problems on your own. Not any more, however. 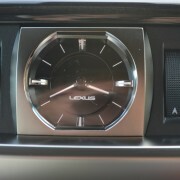 So extra points to Lexus for making the effort to continue this noble tradition of self-help. Ironically, that toolkit is part of a vehicle with just about zero chance of needing repair. 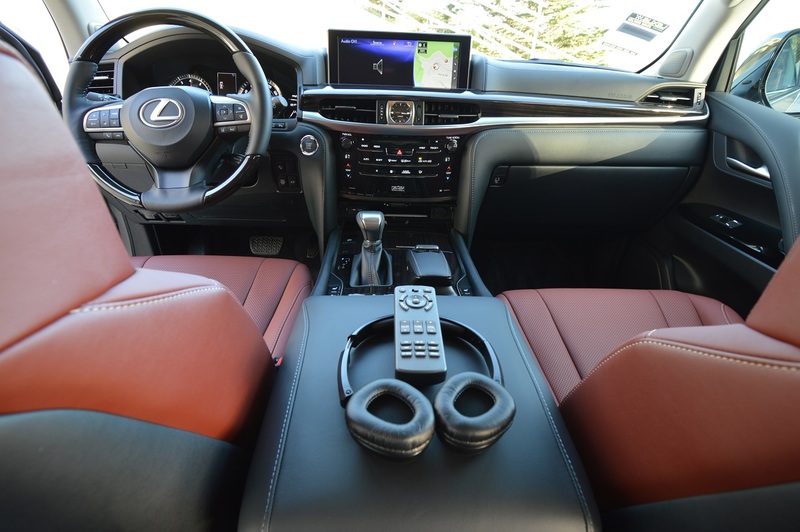 Lexus has long been a leader in JD Power’s Initial Quality Survey (IQS), and continues to post such a blemish-free record that Lexus products enjoy virtual immunity from failure. 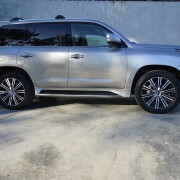 That’s a hard edge to maintain for years on end, but the Lexus LX570 achieves perfection in part because it is based on its bullet-proof brother, the Toyota Land Cruiser. 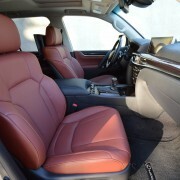 The Land Cruiser has built up its own winning track record for stellar off-road performance. 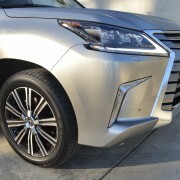 The more luxurious LX570 merely embellishes that reputation. 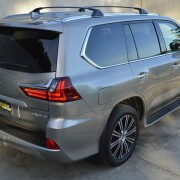 Sure, you can save some serious cash by opting for the considerably cheaper Land Cruiser. 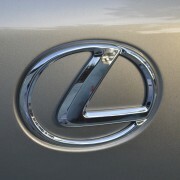 But the prosaically equipped Toyota doesn’t come close to approximating the splendor of the Lexus. 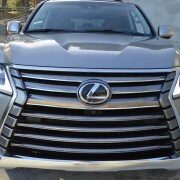 Our test LX570 carried a base price of $89,980. 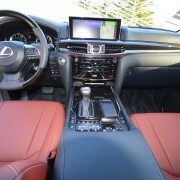 It also included a premium of $8,140 worth of options, bringing the all-inclusive bottom line to $99,315. After a week in the commander’s chair of this sumptuous land yacht, we can report that the loaded LX is definitely worth a hundred grand and then some. 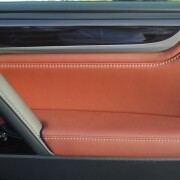 What you do see in the LX is yards of semi-aniline leather trimmed with contrasting stitching. That nicety will set you back $1,190 “Luxury Package”). 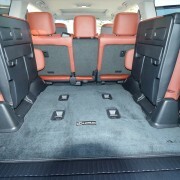 It also provides second row passengers with heated and ventilated seats to match the pair up front. 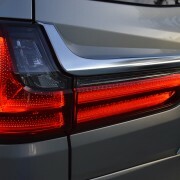 But it’s what you don’t see in the LX570 that distinguishes it from virtually every other SUV on the road. The invisible matrix here consists of an exceptionally stout drive train powering one of the most sophisticated suspension systems ever invented. 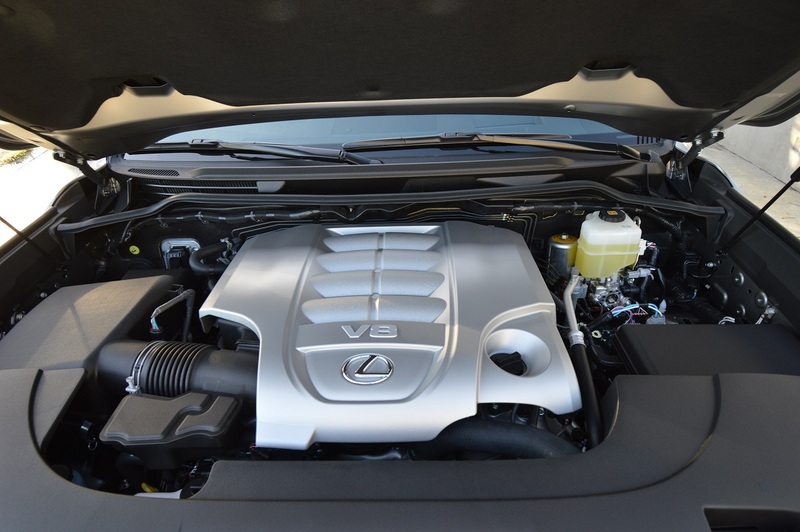 Under the elongated hood of the LX lies a 5.7liter V8 tweaked with 32 valves, all of which enjoy variable valve timing to provide 383hp and 403lb.-ft. of torque. 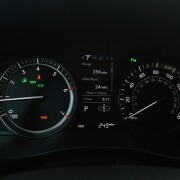 8-speeds of sequential shift automatic transmission harness the V8’s output quite effectively. 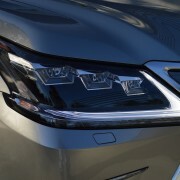 But the true genius of this LX lies in its full-time 4-wheel drive which distributes power through a TORSEN (torque-sensing) limited slip differential to all 4 corners. It does so with such equanimity that you never break traction. Helping in that regard are the bargain ($745) optional 21 inch, 10-spoke alloy rims equipped with Dunlop PT3A Grandtrek tires (275/50R21). 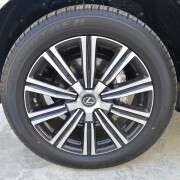 Note, however, that if you stick with the standard issue 20 inch, 5-spoke alloys, Lexus equips them with tires (285/50R20) that are 10 mm wider in section width then the optional 21s on our test vehicle. 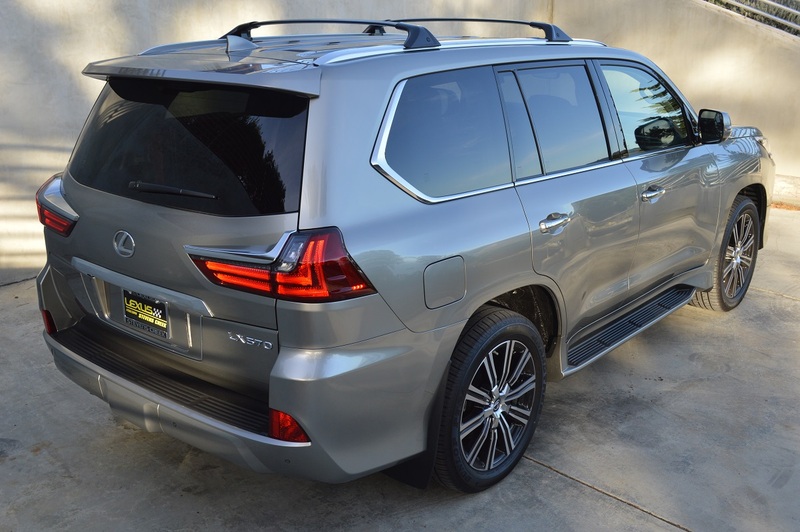 The suspension system of the LX is sophisticated enough to grapple with any terrain short of a sheer rock peak. 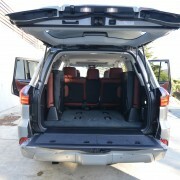 Unlike the spring and shock supported Land Cruiser, the LX570 utilizes fully adjustable air suspension to cope with terrain differences. 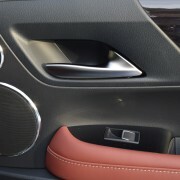 You can manually adjust the ride height from the cockpit, dropping it or raising it as much as 2 inches in either direction thanks to the Active Height Control (X-AHC) system that is standard, along with Adaptable Variable Suspension (AVS). 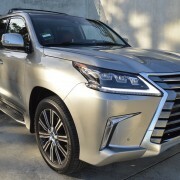 Other useful standard features augmenting your sense of control over the LX570 are Crawl Control with Turn Assist for inching through the outback, Multi-Terrain Select for optimizing handling over various surfaces, and finally, Trailer Sway Control for taming trailer dance. 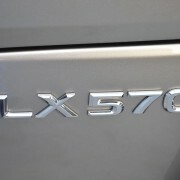 The LX includes a 6,000lb. 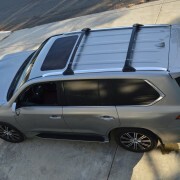 tow hitch with ball mount which is stashed behind a removeable lower fascia panel that keeps the SUV looking sleek when you’re not actually towing anything. 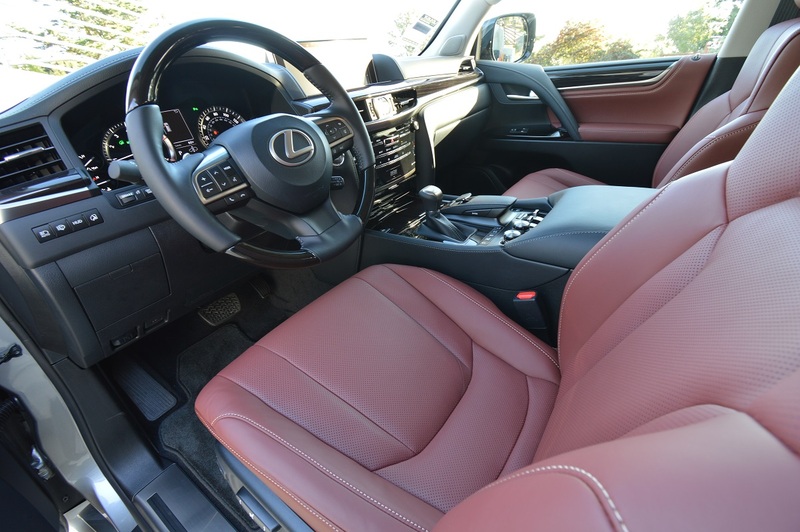 It’s hard not to overstate the general feeling of gracious living produced by the LX570. 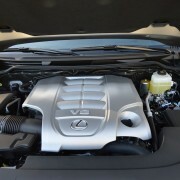 You quickly grow to appreciate the powerful surge of its hungry (15MPG Overall) V8. 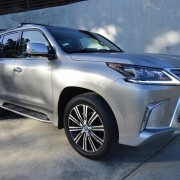 But if you can afford the sizeable gas bill ($7,250 more in fuel costs over 5 years compared to the average new vehicle), then you’ll relish the V8’s reassuring surge to merge with traffic. 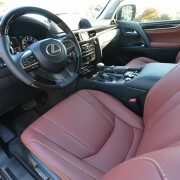 Likewise, you’ll hardly notice the smooth shifts of the 8-speed as it works through the gears. 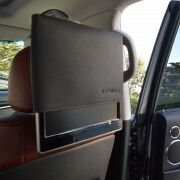 What you will notice, however, are the unimpeded sightlines from the cab in all directions, as this 3-ton SUV makes waves through congested traffic. 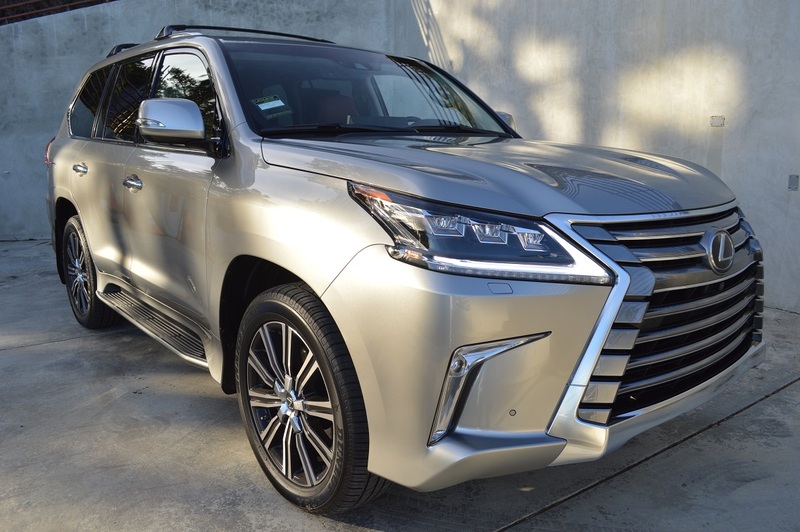 If you relish fine tailoring accompanied by high performance in any weather over any road surface, then the Lexus LX570 could prove to be the ultimate bargain, even at a hundred thousand dollars.